In place of our regular Monday meditation, the beautiful Pure Peace Set for global peace and healing, we have used throughout December, will be opened through 3pm GMT today, Christmas Eve and remain open until 3pm on Boxing day. All are welcome to connect to these crystals at any time in meditation, positive thought or prayer, from where ever they are based across the Globe. Wishing all of you a joyful and peaceful Christmas! Tonight's meditation continues with our focus on global peace and healing using the beautiful Pure Peace Set shown below. All are welcome to join us, from where ever they are based, through 8pm tonight, in meditation, positive thought or prayer. Our next three weekly meditations leading up to Christmas will be for global peace and healing using a beautiful Pure Peace Set. These will be on Monday evenings, through 8pm GMT, beginning tonight 4/12/17. Hope you can join us for one or all of these meditations, using the crystal configuration below as a focus for meditation, positive thought or prayer. With gratitude, as always, for your support and connection. The crystal carin at Old Nisthouse Harray, Orkney, has been redirected to help all in distress across the globe. Please feel free to connect in to it at any time through meditation, positive thought or prayer. If you would like it to be directed, for a time, to help a particular area or group of people who are in difficulty, please let us know. 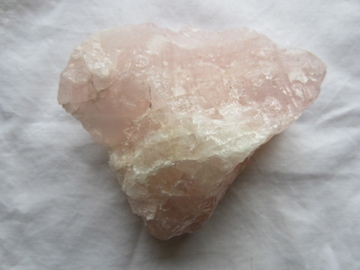 Tonight's Crystal Earth Meditation, through 8pm GMT, will focus on sending peace and healing to the Earth and her inhabitants using a heart shaped chunk of rose quartz. Hope you can join us from where ever you are based across the globe! Beautiful Angel Aura planted 20/11/18to Greyfriar's kirkyard, Edinburgh. This is the place where a Skye Terrier called Bobby became famous for guarding his masters grave for 14 years in the mid 1800's. A robin started singing in the tree beneath which the crystal was placed immediately after the planting. There will be special meditation this Sunday, 11th November, through 11am GMT, to mark Crystal Earthworks 16th birthday and Armistice day. This meditation will use the beautiful crystal configuration shown below, focusing on global peace and heart connection. We welcome you to join us in meditation, positive thought or prayer from where ever you are based by simply visualising the crystals using the focus given. This meditation will use the amethyst cairn here at Old Nisthouse, Harray, Orkney. Please feel free to join us in meditation, positive thought or prayer from where ever you are based across the globe using the image below. The crystal cairn here at Old Nisthouse Orkney remains redirected to help all in distress in Indonesia after the recent Tsunami as well as others affected by flooding across the globe. Please feel free to connect to this at any time. The crystal cairn here at Old Nisthouse Orkney remains redirected to help all in distress in Indonesia after the recent Tsunami. Please feel free to connect to this at any time. The amethyst cairn here at Old Nisthouse Orkney, has been redirected to help all those affected by the recent tsunami in Indonesia. 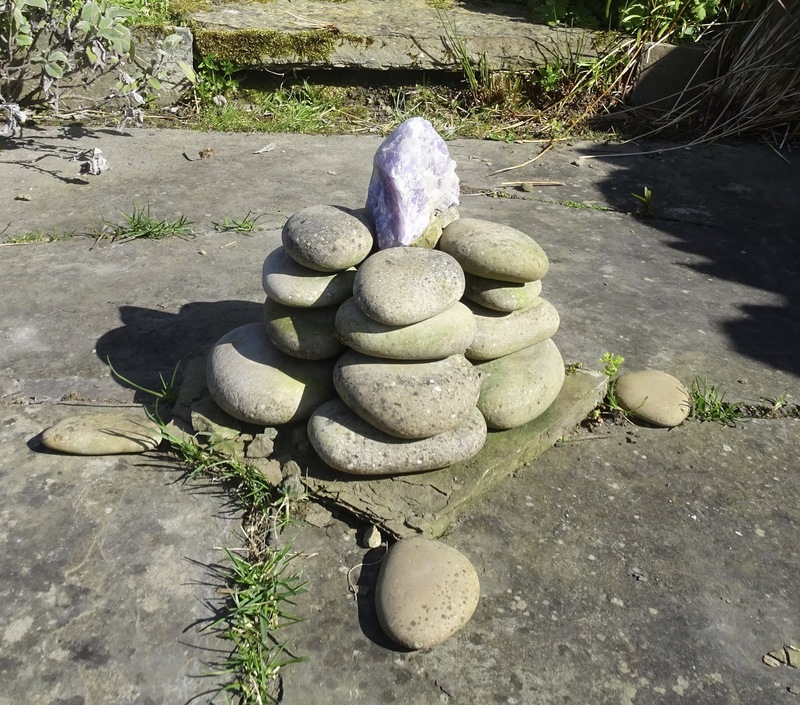 Please feel free to connect to the cairn at any time in meditation, positive thought or prayer. This will also be the focus for tonight's meditation through 8pm BST and all are welcome to join us from where ever you are based across the globe. 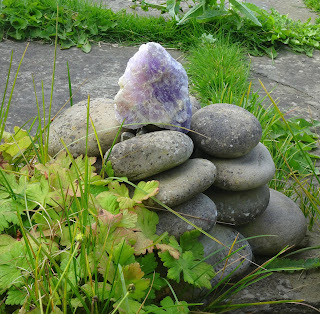 Tonight through 8pm BST, we continue our long series of Crystal Earth Meditations focusing on helping all in distress across the globe using the beautiful amethyst crystal cairn shown below. This meditation will be repeated again at the same time on Monday 10th September. Thank you to everyone who continues to support these healing meditations. If you haven't joined us before and would like to, simply sit in a quiet space, where ever you are based and spend a few moments breathing deeply and letting go of any of your own worries and concerns. Then turn your attention to the given focus and image in meditation, positive thought or prayer. All are welcome to join us.